I promised in my post on free printable high contrast cards for newborns that I’d have more high contrast cards coming soon. Here some of them are! 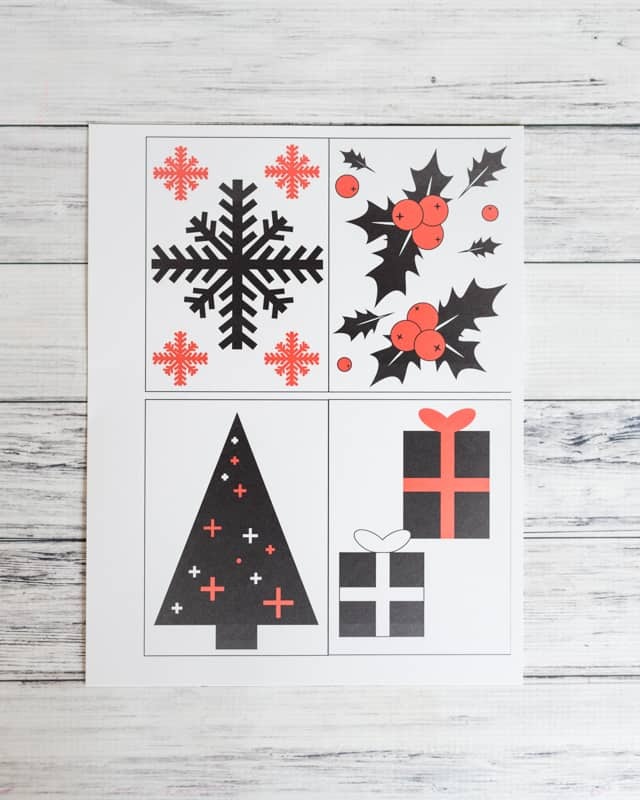 Today I’m sharing free printable Christmas high contrast cards for babies. These cards are a little more detailed than the previous ones to offer a more challenging visual to a slightly older newborn. At this point, LG’s eyesight should actually be slightly better than my uncorrected vision (yikes! ), so I wanted to give her something a little more complex to look at. 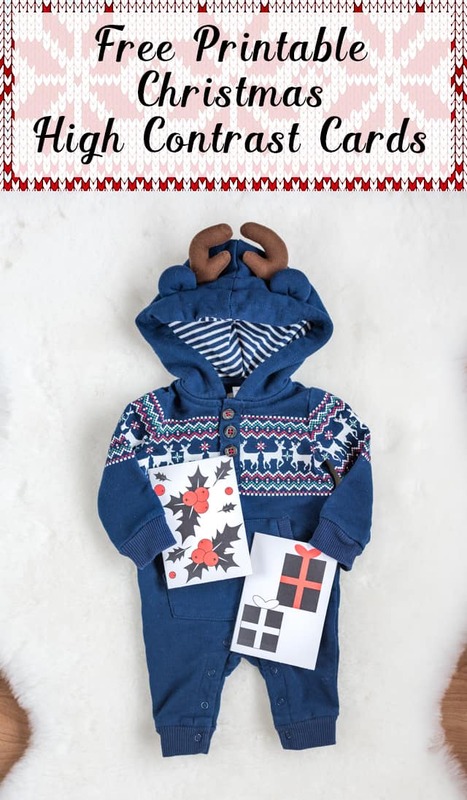 These high contrast Christmas designs are still fairly simple, though, and perfectly suited to young babies. 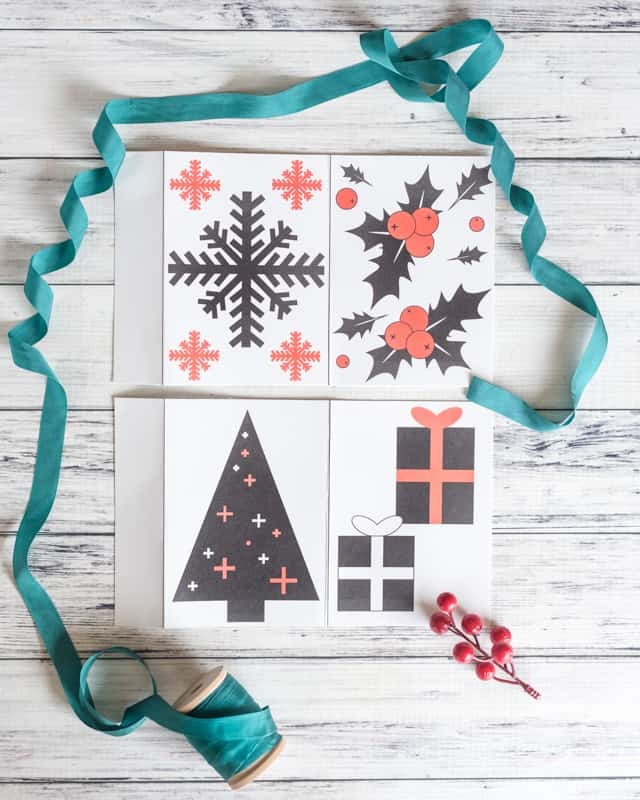 The printable Christmas high contrast cards can be assembled just like the ones in my earlier post, or you can make each duo freestanding. You can also, of course, cut the cards out individually to put them in a frame, tape them up, etc. if that’s more convenient for you. 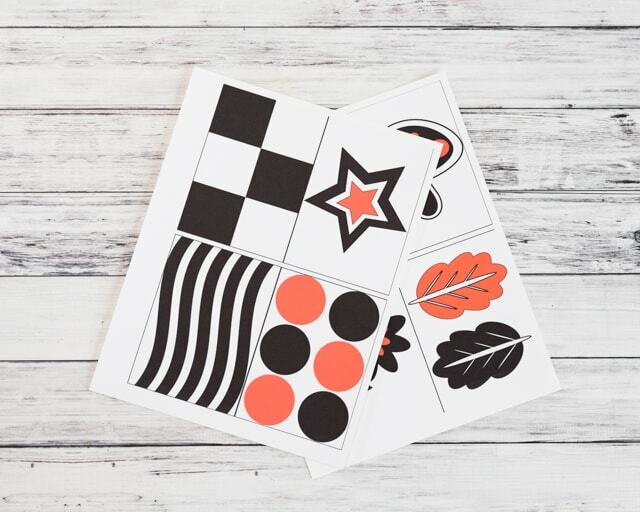 High contrast cards are perfect for tummy time and side-lying time, diaper changes, and more. Heavy duty cardstock. I purchased this pack of 140 lb cardstock a couple of years ago and I’m still using it for projects! Print out your high contrast cards. Trim them as shown, so that each pair remains connected (unless you want them separate!) and they have a tab. 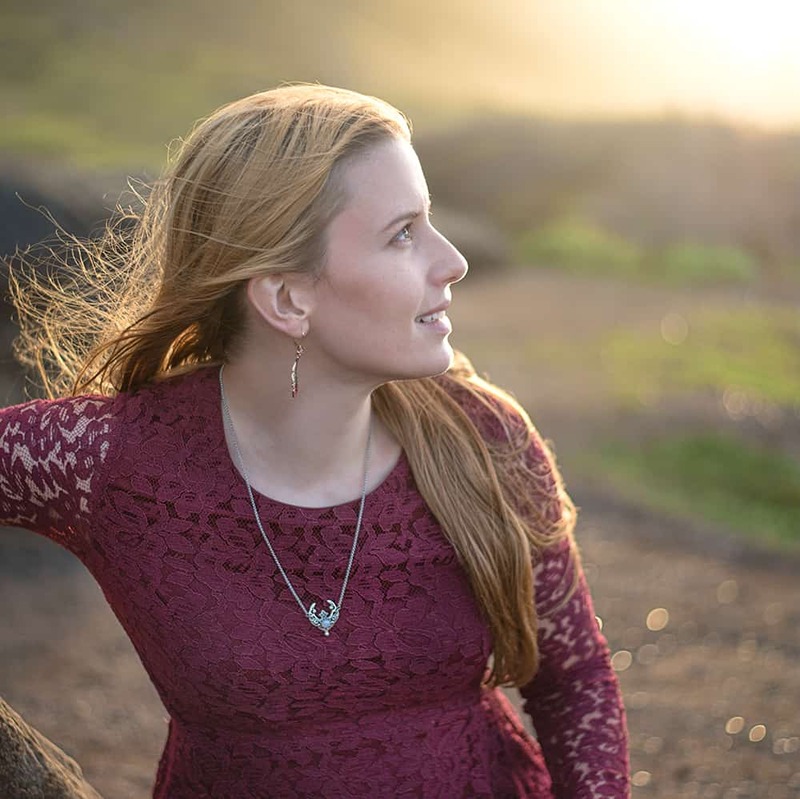 This helps them stand up and allows you to adhere the two pairs together “accordion style.” Fold along the tab line and the center line, creasing firmly with a bone folder or the back of a metal spoon. Here are some simple high contrast cards for newborns. There are also slightly more complex high contrast cards for infants with printable nursery art! I really hope the little one in your life enjoys these free printable high contrast cards as much as our LG does! I’ll be sharing more high contrast printables next month, so if that’s something you’re looking for please be sure to check back in! That romper is adorable! Cute cards for the little ones too! Thank you! The romper’s already packed and ready to go with us!